On Thursday May 11th, AIGA Hampton Roads will host Becca Clason – a stop-motion lettering artist, at O’Connor’s Brewery. Chew this over – Becca’s clients include Disney, Target, The Washington Post, Citibank, Mattel, Sabra Dipping Co., General Mills’ Lärabar, American Express, Kellogg’s Special K, L’Oréal and many more! 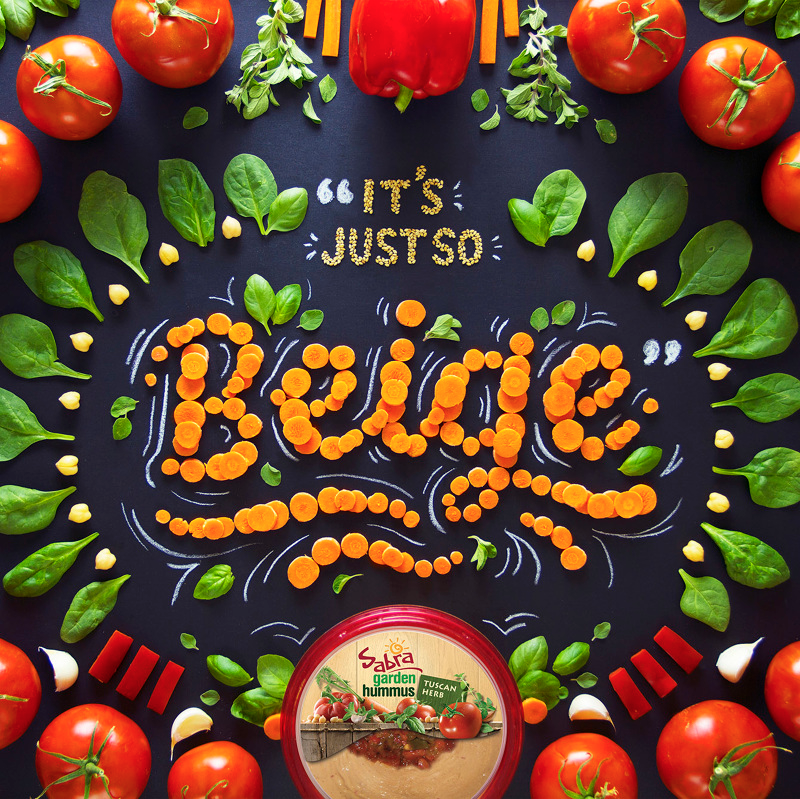 Take a bite out her lecture – We chatted with Becca about the ins-and-outs of her design career, her favorite materials to work with, and what she does when she’s not playing with her food. When I got to college (Brigham Young University in Utah), I wasn’t aware of graphic design as a major or even a profession. I had decided that I didn’t want to major in fine art, because I didn’t have experience in illustration or sculpting, and I didn’t know how I’d make a living as a painter. After I finished freshman year, I learned about the advertising major, which had a management track and a creative track. Only 12 people each year were accepted into the creative track, and I wanted to get in so badly. I worked really hard on my pre-req classes and my creative track application, turning down invitations to go out and hang out with friends. It was that happiest day of my life to that point when I found out I’d been accepted. 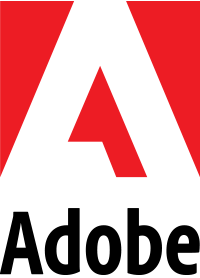 Students in the advertising creative track were required to complete a graphic design minor, so that’s how I learned about graphic design. I did an internship at an ad agency in New York City after my junior year and was offered a job at the same agency when I graduated. I really enjoyed the typography and graphic design portion of my art director advertising job, so I decided that I wanted to focus on that. I switched paths and started working as a full-time graphic designer, and while at that job in 2009 I discovered lettering. It was like finding a soul mate. I knew lettering was what I wanted to create for the rest of my life, so I got to work trying to learn how to do it well. Over the years I’ve sketched, practiced, taken lettering and calligraphy workshops and classes, and have even taught a couple of my own. I haven’t taken any stop-motion classes—I’ve just taught myself through trial and error and done a couple of tutorials online. I started freelancing on the side in 2010 or 2011 for friends, family, and small businesses. In 2014 and 2015 I started working with bigger brands and ad agencies and signed with an artist rep. I always wanted to be a full-time, freelance lettering artist, and in August 2015 I made the switch. I was planning on quitting my full-time graphic design/lettering job a couple months down the road, but before I got the chance, I was laid off due to the startup not doing well. This forced me to make the jump a little bit earlier than planned, but it turned out being the best thing for me. It’s been really busy and really fun since then, and I’m so grateful that I get to do this for a living. What is it about design that most excites you? My favorite thing about it is that I’m creating an image, a composition, a design that hasn’t existed before. Seeing the end result and how my creation has come together, especially when it’s a time-lapse or stop-motion video, is the most rewarding part for me. I recently worked on a project for Publix, which is a large supermarket chain in the southeastern U.S. Maybe they have them in Virginia? I can’t share the project yet, because it’s for the Thanksgiving and Christmas holidays, but working on that project made me so happy, and I was very pleased with the results. 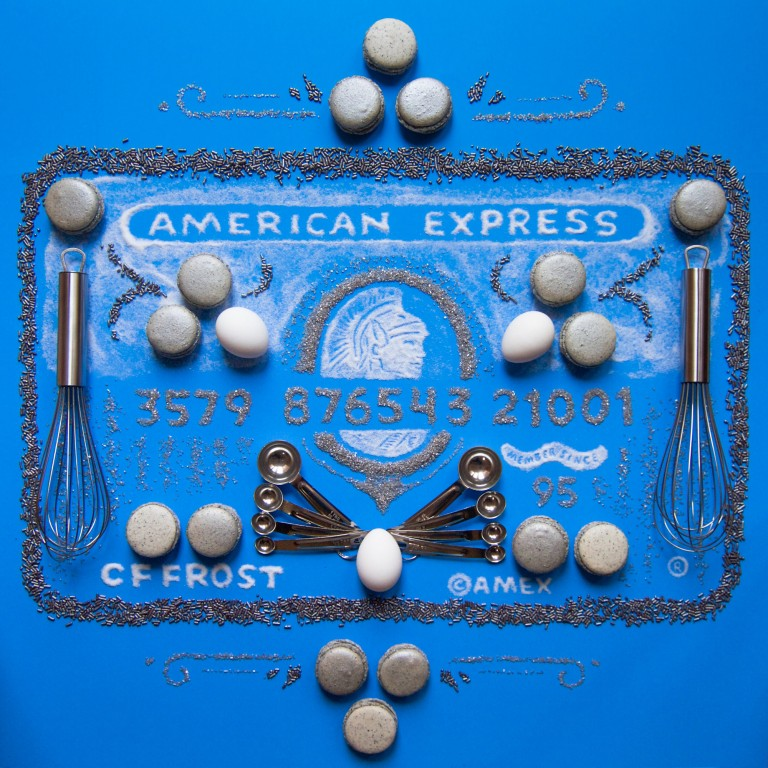 Another favorite was the Card Art series that I created for American Express. It was my first paid stop-motion gig, so I was nervous about executing the project how I wanted to. Two years later, and I’m still proud of the finished products, and am also so grateful for the project, because it kicked off the stop-motion part of my freelance career. What is one product or brand you’d love to work with and why? I’d love to create a tactile lettering project for Nike. That would be a dream because I love the brand and the products. When I’m not working on client projects, I’m often working on personal projects. But when I’m not doing that either, I’m spending time with my husband and one-year-old son whether it’s hanging out at home or outside, cooking together, or traveling together. What would you be doing if you didn’t have a career in design? That’s a tough one. I’m obsessed with foreign languages—one of my dreams is to become fluent in a second language. I took Spanish classes in middle school and college, and I wish I would’ve taken that further. I also took Mandarin Chinese classes in college, and after I’d been working for a year post-college, I signed up for a study abroad program in China and spent the summer studying Mandarin in Beijing. If I’d become fluent in Mandarin or Spanish, I don’t know how that would have affected me career-wise, but maybe I would have tried to work in China. I really enjoy fitness and nutrition. If I’d stayed in LA any longer, I may have tried to become a Crossfit coach at the gym I attended. Ha. Maybe someday I’ll teach fitness classes. I hope my talk will give them ideas of how to improve their work, improve how they present their work online, attract clients, and grow their online followings. For more of Becca Clason, you can visit her website or follow her on Instagram. You can also get in touch with at becca@beccaclason.com for commissioned works.